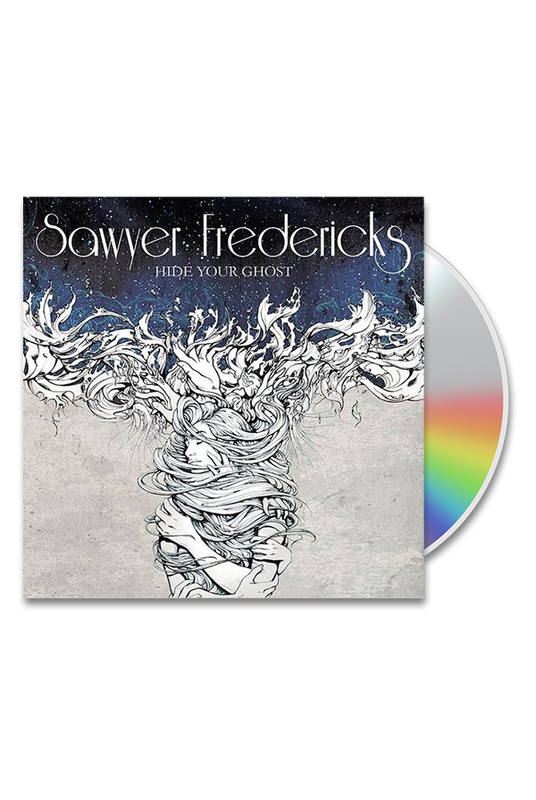 Sawyer's third full length Album Hide Your Ghost on CD. Sawyer recorded Hide Your Ghost at Dreamland Recording Studios, in historic Woodstock, NY, with full artistic freedom. Hide Your Ghost stays true to Sawyer's honest and elegantly stripped down style, incorporating elements of folk, blues, rock, and jazz with all live instrumental arrangements, largely recorded to analog tape, with an old school approach to production, in the unparalleled, magical acoustics of the cathedral hall of the converted 1896 St. John's Church. The songs tell intense stories of personal, domestic, and social conflict, both timely and timeless, fearlessly embodying both the ugliness and beauty of being human. 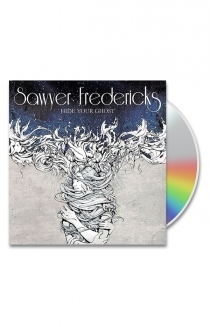 The full length album of all original work, written, arranged, and produced by Sawyer. 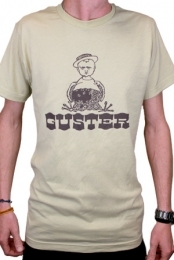 Choose Hand Signed or Unsigned CD.